In this family recipe we show how to make eggs with a delicious garlic and mayonnaise sauce, flavored with herbs and ajika. Ajika (Georgian: აჯიკა) is a hot, spicy paste used to flavor dishes mainly in Samegrelo and Abkhazia. It is made with hot red peppers, garlic, herbs and spices. 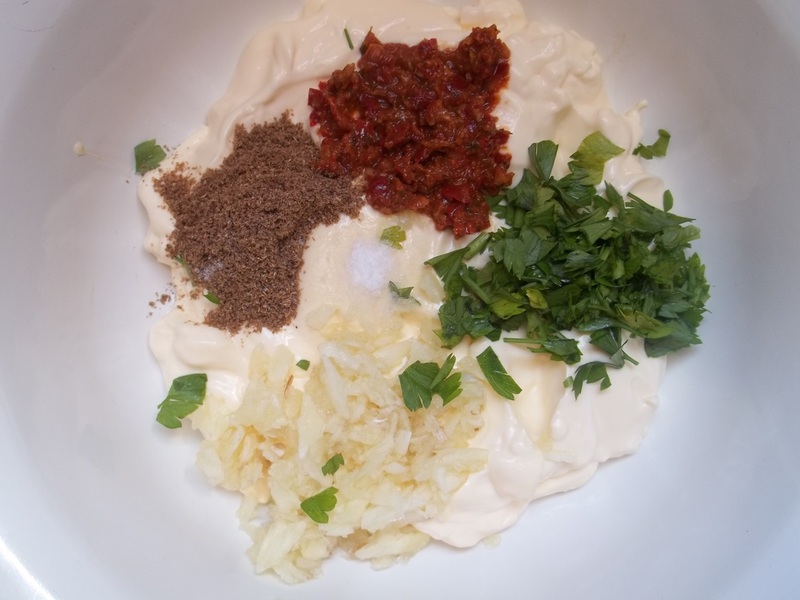 For the sauce: 400 grams of mayonnaise, 100-150 ml of water, 8-10 cloves of garlic, 1 small red onion, 1 tsp of dried coriander, 1 heaped tbs of ajika, 20 grams of parsley, and salt (amount dependent upon personal preference). 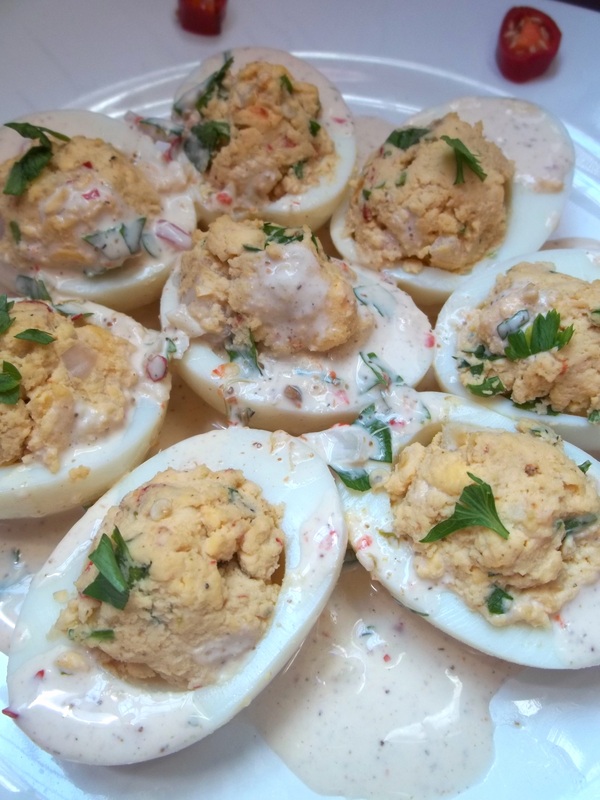 For the egg filling: 10 grams of parsley, 1 heaped tbs of mayonnaise, 1 small red onion, 1 tsp of ajika, 2-3 cloves of garlic, half tsp of dried coriander, and salt (amount dependent upon personal preference). 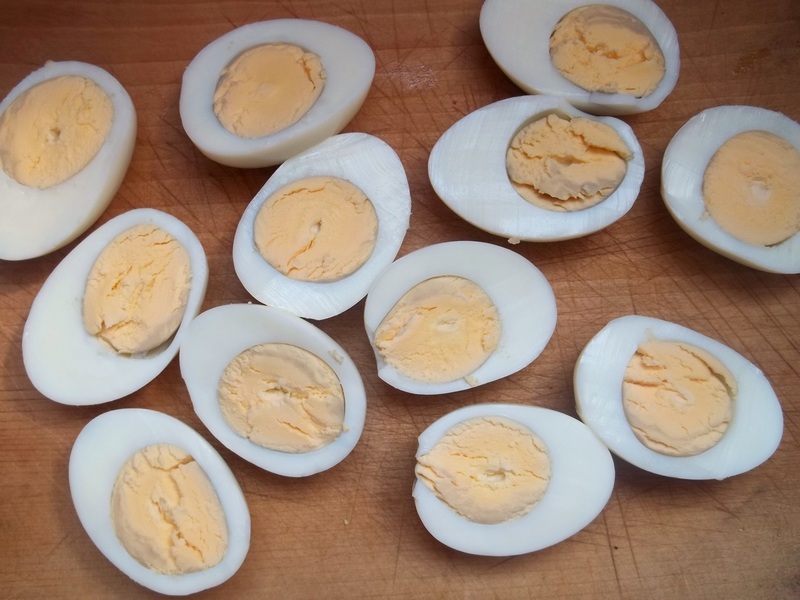 Preparation: Boil the eggs and cut in half. 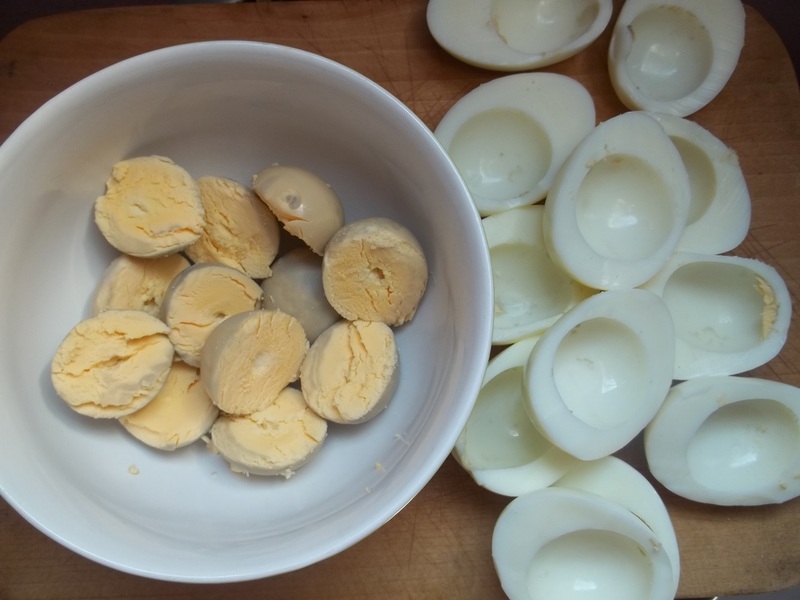 Scoop out the yolks and add to a mixing bowl. To make the filling: Squash 2-3 cloves of garlic and chop 10 grams of parsley. 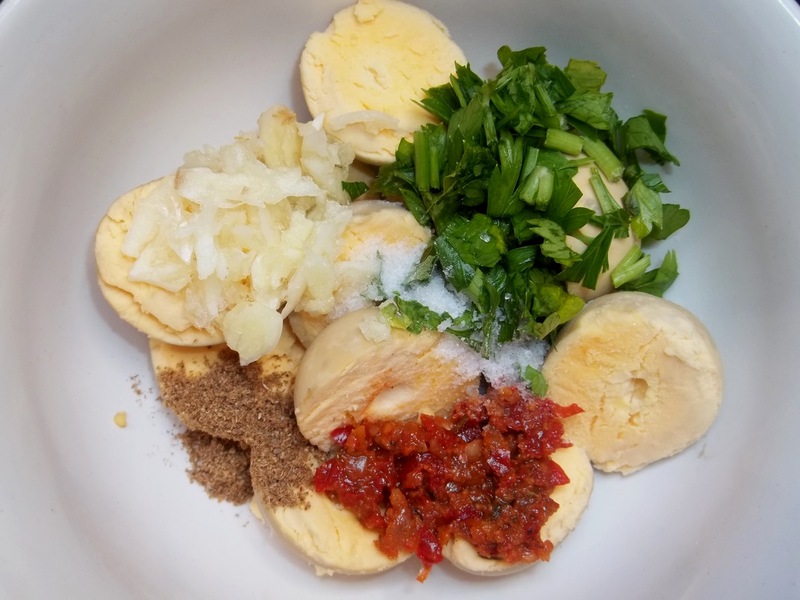 Add the garlic and parsley to the bowl of egg yolks, together with 1 tsp of ajika, half tsp of dried coriander, and salt. Mix with a wooden spoon. 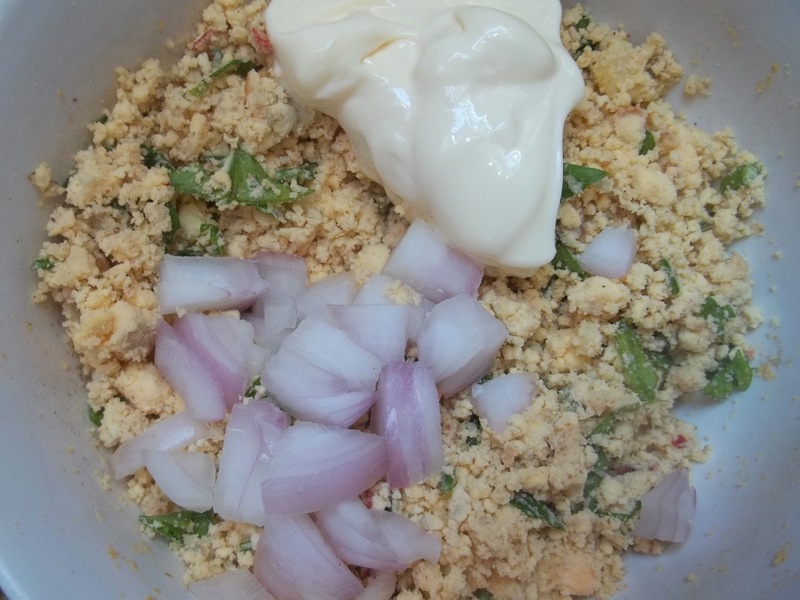 Chop 1 small red onion and add to the bowl, together with 1 heaped tbs of mayonnaise. Mix with a wooden spoon. To make the sauce: Squash 8-10 cloves of garlic and chop 20 grams of parsley. Add the garlic and parsley to a mixing bowl, together with 400 grams of mayonnaise, 100-150 ml of water, 1 tsp of dried coriander, 1 heaped tbs of ajika, and salt (amount dependent upon personal preference). Mix thoroughly. 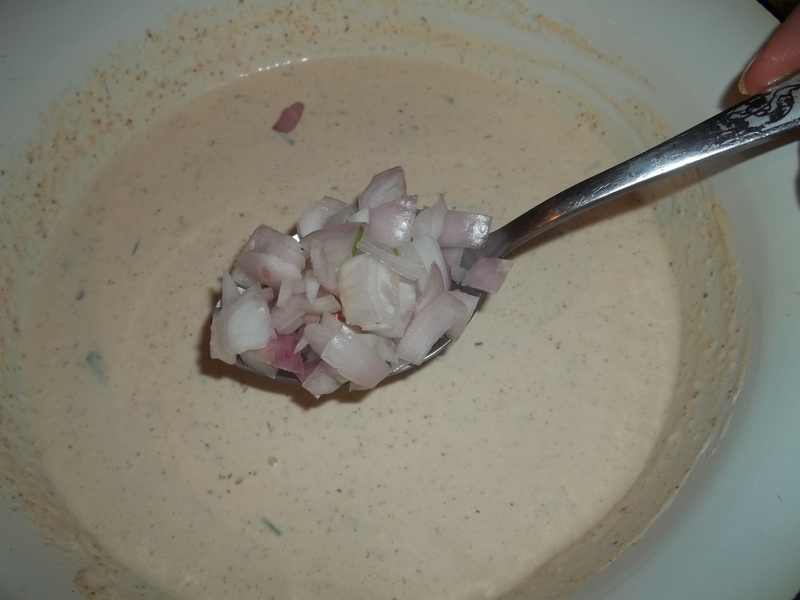 Finely chop 1 small red onion and add to the mayonnaise sauce. Mix thoroughly. 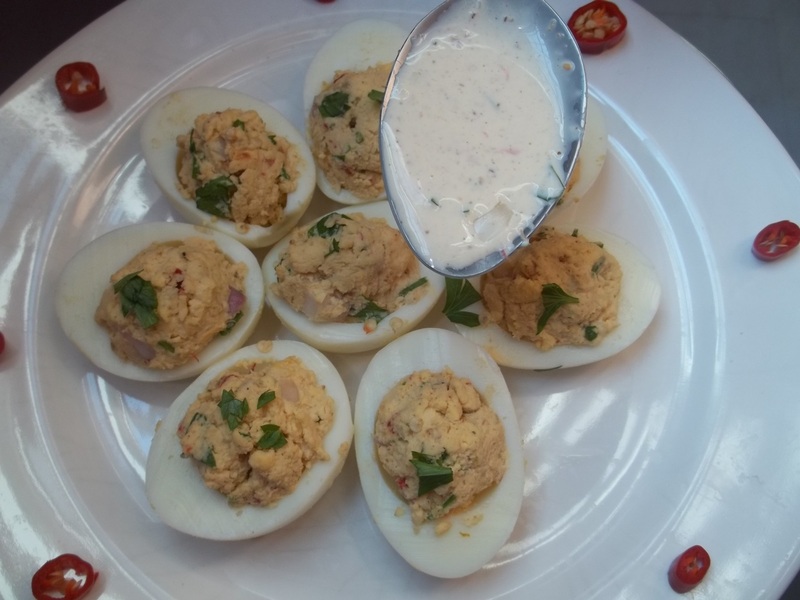 Stuff the egg halves with the filling and use a spoon to pour the mayonnaise sauce over the eggs. 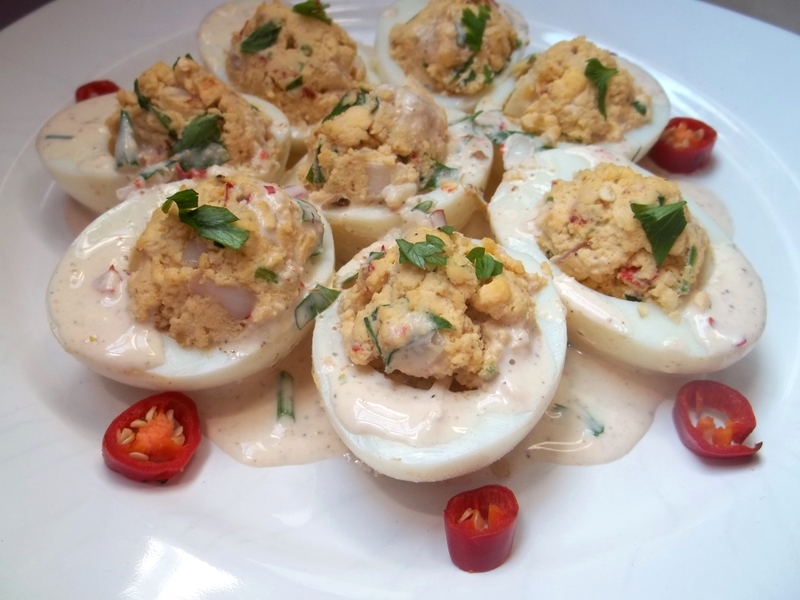 Enjoy your Eggs with a Garlic and Mayonnaise Sauce! Yum! Love the step by step photos!